Hit the Baltimore Convention Center this weekend, April 9th and 10th. 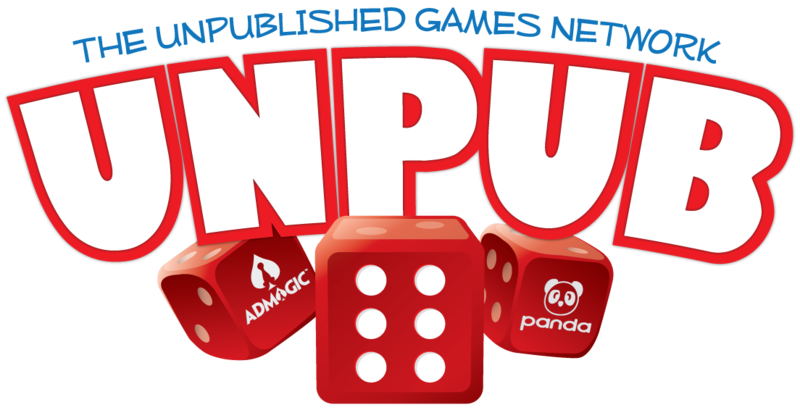 Play the latest ferrispiele games as well as yet-to-be-published titles from dozens of other designers! Park Runners, a theme park building and visiting game in early development. 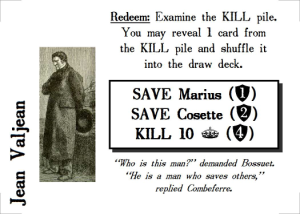 Les Misérables: Dawn of Rebellion, a quick card game coming soon from Escape Velocity Games. nce upon a time, there was a publisher named Escape Velocity Games. Every day, Steve at Escape Velocity Games would work tirelessly on publishing great games like Conquest of Orion and (possibly Nick’s favorite microgame of all time) Tradecraft. And the world rejoiced and celebrated Iliad‘s victory. But Steve, being of infinite wisdom, knew that Les Misérables was also a great game, so he proclaimed that it, too, would be published by Escape Velocity Games. Thus, the world was blessed with more amazing games. In return for his game designing brilliance, women and riches flocked to Sir Nick, and he lived happily ever after. All Hands, Brace For Updates! Hoowee! It’s been a while since there’s been an update here. I wish I could say it’s because I’ve been super-productive and working on lots of designs and doing lots of playtesting. Oh wait, I can! Because I have! I’ve updated the site with my latest design that’s been getting about 60% of my attention lately: All Hands, Brace For Impact!, affectionately known as the “Star Trek Yelling Game.” This one’s only been in the works for about four months, but it’s progressing quite well, with over fifty playtests clocked in already. It was a huge hit at Unpub 5 where rabid playtesters lined up and kept the games going for eight straight hours! I really had to pee after hour 4, but they wouldn’t let me! If you want to learn more about All Hands and maybe get your hands on a print-and-play for it, please hop over to the All Hands game page. I’ll get you set up with what you need so you and your friends will be yelling “Shields are failing!” and “Redirect auxiliary power!” at each other in no time! In bigger news, Nick has an actual published game coming out real soon now! It’s Heir to Europa, an evolved and super-amazing form of Les Cartes Misérables. I really like the direction in which publisher/graphic-designer/editor Daniel Solis has taken the original game, and the core mechanics are all still intact with some slick enhancements and streamlining. And look at that absolutely gorgeous art by the insanely talented Marisha Lozada! 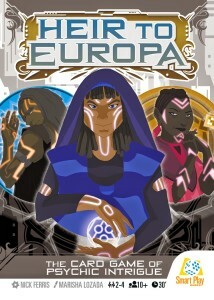 Look for Heir to Europa incredibly soon when it joins the Smart Play Games line up of really awesome card games. Announcing Unkicker’d, the platform for destroying all those crowd-funding projects that everybody loves… but that you loathe with the intensity of a million angry fanboys. How does Unkicker’d work? Why, it’s so simple, even people who continue to back absolutely ridiculous projects can understand it. Pick a project. Maybe you’re a militant vegetarian with a vendetta against those who would travel far and wide to offend you. Perhaps you’re hoping to preserve our rich cultural heritage from those who seek to corrupt it. Or maybe you’re an aspiring but incompetent board game designer; why try harder when you can just take out the competition? Whatever the reason, for a low, up-front, non-refundable fee, you can sponsor the demise of any crowd-funding project. Just point at the project you want to make go away, pay your “unpledge” fee to start your Unkicker’d campaign, and we’ll handle the rest! Turn backers into back-awayers. Next, we’ll set up an Unkicker’d campaign, inviting all those who have backed your targeted crowd-funding project to cancel their pledges and instead back the Unkicker’d campaign. In exchange for pulling out their funds from your nemesis project, we give the backer ten shiny dollars! Or maybe a puppy! Or ten shiny puppies! We don’t really know. But what we do know is that your enemy project’s creators will be crying buckets when they see their funding goals come undone by people who’d rather get something for nothing. Bonus: offer mercy, but just kidding! A few days into the Unkicker’d campaign, we’ll contact the crowd-funding project’s creator and offer to cancel your Unkicker’d for a large “sanity restoration” fee. If they accept the offer, rest assured that your target project will suffer even more as a result. That’s because we use the collected fee to increase rewards to project un-backers, causing even more who pledged to jump ship. It’s like punching a small child in the knee, and when he bends over in pain, kicking him in the face! Sit back, relax, and watch it burn! Unlike all the hard work and grueling hours spent by project creators to drive their campaigns to success, you don’t have to lift a finger, except for that finger you use to pay us, and even then you could probably just use a toe or your tongue. In fact, you’ll be doing as much work as crowd-funding sites like Kickstarter clearly put into every new campaign they authorize. But you’ll definitely want to keep your eyes on your computer screen as you watch your hated multi-million-dollar crowd-funding campaign dissolve into a forgotten pile of electronic rubble. Sorry, Geordi, looks like another generation of kids will grow up not knowing how to read! It’s really that simple! And best of all, it’s how the internet should work–one ticked-off 14-year-old with mommy’s PayPal account password can gain the power to annihilate the dreams of a complete stranger! Now before people start slinging around unconstructive phrases like “Isn’t this incredibly illegal?” and “You’re worse than fifty Hitlers!” let’s take a moment to address a few questions about the concepts behind Unkicker’d. Q: Why would you create such a horrid thing as Unkicker’d? A: Would you believe “Entrepreneurial Spirit?” No, we didn’t think so. Look, let’s be honest. If there’s some way for somebody to create something horrible, especially with the relative anonymity afforded by the internet, somebody’s going to do it. So if we didn’t make Unkicker’d, someone else would… probably one of the very websites known for hosting the crowd-funding dreams of 42-year-old, out-of-work would-be future Steve Jobses. Q: As a backer, what’s stopping me from backing a project for the sole purpose of unbacking it if it’s Unkicker’d? A: Nothing at all! To be clear, only those who have backed a crowd-funding project prior to its Unkicker’ding would be eligible for any payments through the Unkicker’d campaign. We’re not idiots. But if you are one of those backers and we can buy your lack of loyalty, then we’ve got a picture of Alexander Hamilton with your name on it! (Actually, it has Alexander Hamilton’s name on it, but you won’t care!) In fact, we encourage you to back tons of projects you don’t really intend to pay for, hoping some of them will get Unkicker’d. False hope for project creators; ten dolla billz for you! 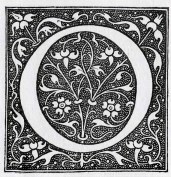 Q: How can a single person pay all those backers to drop their support for a project? A: Well, obviously they can’t, unless they’re rich. (Don’t worry, top 1%, we have special Unkicker’d tiers just for you!) Instead, Unkicker’d supplements these payments with funds generated by collecting “sanity protection payments” from projects that don’t wish to be targeted by Unkicker’d campaigns! While it’s true that we expect only a small percentage of crowd-funding projects would ever be Unkicker’d, we want to give project creators some piece of mind knowing their projects are safe-ish. Q: As a project creator, can I do anything to prevent my crowd-funding project from being Unkicker’d? A: Absolutely! Simply disregard the following question and contact us about our Project Sanity Protection services. Q: Can I purchase an Unkicker’d campaign for a “protected” project? A: Of course! Simply pay the extra “project un-protection fee,” and we’ll get your Unkicker’d project up and running in no time! Q: I don’t usually nitpick spelling, but shouldn’t it be defunding? So maybe you should call it Dekicker’d? A: Your face should be dekicker’d! So what are you waiting for? Take out your frustration and jealousy on those with higher aspirations and motivation than yourself today by starting your Unkicker’d campaign in just minutes!